We are thrilled to share the news of our brand new website! It’s updated with fun photos from our happy camp families and super easy to navigate through. Get to know us so we can get to know you. 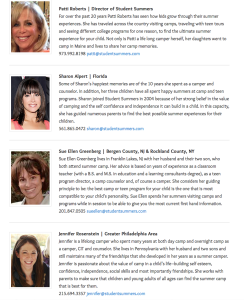 The “Meet your Camp Advisors” page gives you an inside look at who we are and what areas we cover. Not in one of those areas? No problem, just fill out the “contact us form” and one of the camp ladies will be in touch with you. We have traveled all over the country and beyond to find the perfect summer experience for your child. 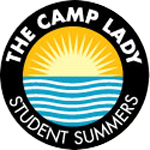 Our camp families and campers are buzzing about us so we just had to share it on our “Happy Camper Buzz” page. We have been helping families with their summer adventures for years, we could only share a few. Make sure your in the know and check out our “Get the Scoop” page. You will find all the articles we contribute to and awards that we have received giving us bragging rights.